I knew my crippling fear would keep me from achieving my dreams in life. So I decided to overcome it by doing the scariest thing I could think of: learning to fly upside down. Today, I’m the first Latina full professor in the College of Engineering at the University of Washington. I’ve landed my dream career. I’ve conducted research with Nobel Prize winners, taught astronauts to fly, and created musical simulations of the universe with rock stars. I’ve won major awards for research and raised millions of dollars. I was lauded by President Obama as one of the top scientists and engineers in the country. Oh, and in the middle of all this, I did a stint at NASA designing software for Mars missions. Today I’m proud to be a mentor to women and underrepresented minorities in science and engineering. As a child, I was bullied, attacked, and discouraged. The daughter of immigrants, I grew up in a small town in Indiana. Every year in elementary school, I was placed in the slow reading group at the beginning of September. My classmates called me racial slurs and physically assaulted me. In high school, my math teachers mentored the second-best students rather than me. This lack of societal support as I grew up led to me developing into a fearful and timid individual, one who questioned and downplayed my own abilities even in adulthood. 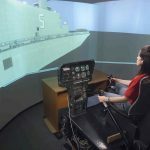 In 1985, I was twenty-five years old, struggling to complete a PhD in computer science, and scared of just about everything. My graduate school administrator once found me crying in the ninth-floor women’s restroom, after I’d climbed eight flights of stairs, too frightened to use the elevator. In many everyday situations, my brain circuits got jammed by fear, and I froze. I was afraid to study for exams, scared to imagine writing a thesis, terrified that people would find out the truth: I was a Failure with a capital “F.” Overcoming my fears seemed impossible. My timidity and fear defined me. I believed that my personality had been stamped into my genes from birth: INTF. Incompetent, Nerd, Terrified, Failure. 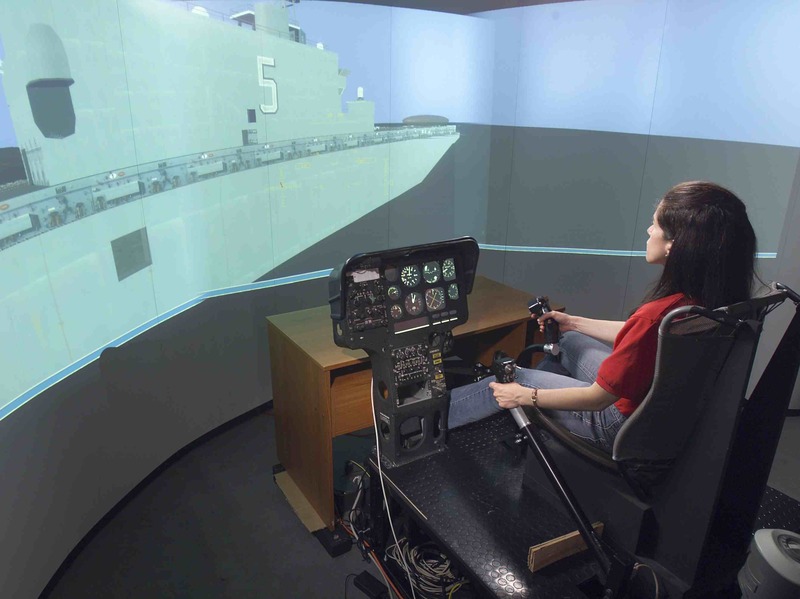 By 1991, I’d become an airshow pilot and the owner of a flight school. 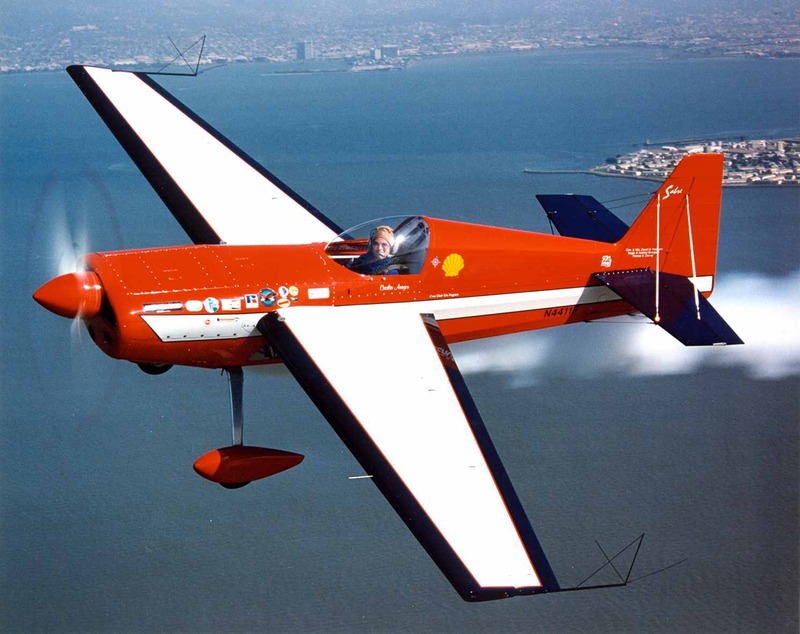 I’d won a coveted spot on the United States Unlimited Aerobatic Team and earned the right to represent the US at the Olympics of aviation, the World Aerobatic Championships. 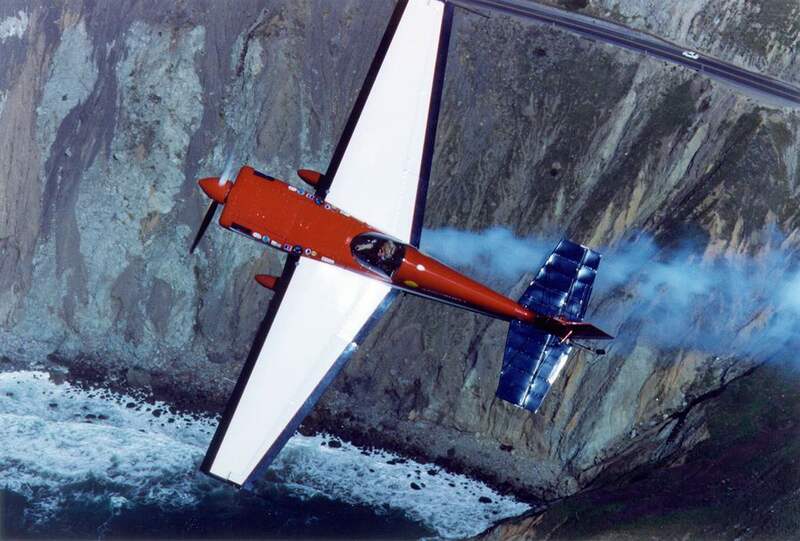 That year, I beat the record for shortest time from first solo in an airplane to membership on the US Team. 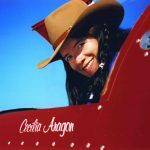 I became the first Latina to secure a place on the team, despite being one of its poorest members ever. 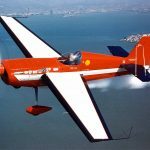 I flew airshows in front of millions of people, performing loops, spins, and rolls a few feet above the runway. 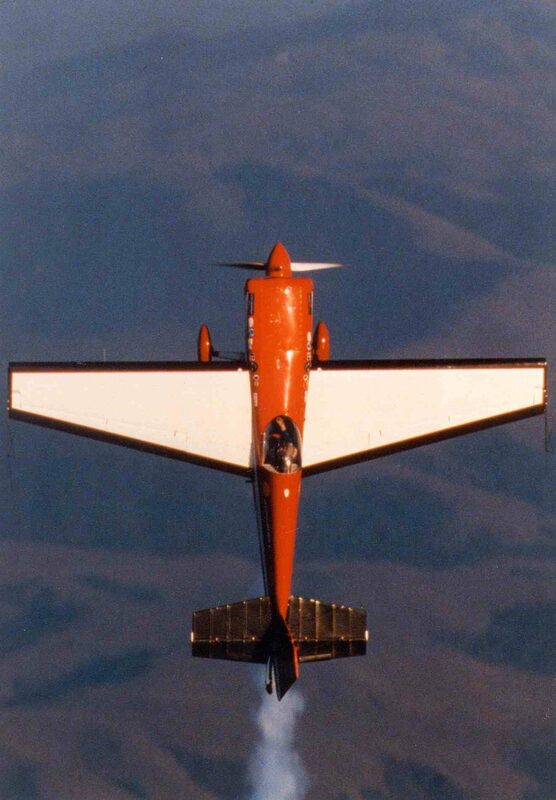 I jumped out of airplanes and taught others how to fly. I learned how to fundraise and earned the money I needed to compete at the world level. 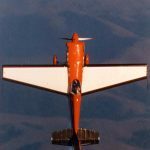 I worked as a test pilot and contributed to the design of experimental airplanes, crafting curves of metal and fabric that shaped air into the powerful flows that lifted inanimate objects high above the earth. 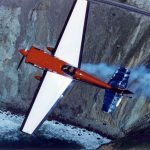 In a span of just six years, I taught myself to overcome my self-doubt, shyness, and deep-seated fear of heights to become one of the best aerobatic pilots in the world. Doing something incredibly difficult gives you incredible strength. The easy choice may be more deadly in the end. Admin Note: Cecilia has just completed a memoir and is seeking agent representation. We would love to have you join the conversation. Do you have thoughts you would like to share, or questions to ask Cecilia? What are your dreams or your insight on overcoming fear? Please comment below. You never know who you might inspire or where it might lead. 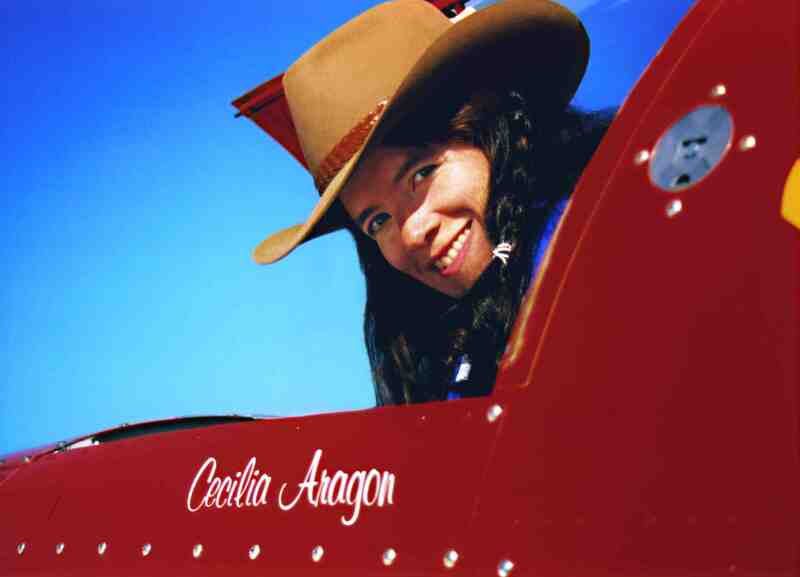 For more information on Cecilia Aragon and watch her fly please click here. Terrific, inspiring story! Really enjoy reading these! Welcome to the community Erik and thanks for the comment! So glad you found her story inspiring, as did I. Thanks for the comment, and I’m glad you enjoyed the story! Another wonderful story, Heidi – such courage and determination! Welcome back Kim. Glad you liked her story as did I. I was just so inspired. To go from a fear of heights and more to this—amazing. Thank you, Kim! It’s always great to hear such kind words. Thanks so much Tyler and welcome. 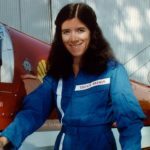 I thought you might like her story and her plane! Thanks, Tyler! I understand you’re a pilot too. Hope you find flying as fun as I did! Thanks, Tyler! I understand you’re a pilot too. Hope you find flying as much fun as I did! I wish I had this much courage!! Every time I feel like a loser, I think of the gutsy goddesses you post about, Heidi, and go away inspired. Wow Damyanti that’s awesome, when you feel that way that you go away inspired. I read a post about a Nigerian women who was deaf and wanted an education. She went over so many hurdles to learn and yet eventually became a college professor. It was so inspiring. The next time I had to do something that was a bit intimidating I remembered her and overcame my fear. I just thought if this women could overcome so much, than my little challenge is doable. Thanks for visiting. I also hope you never feel like a loser again—you are so talented and bright. I think we’ve all felt like losers sometimes. It’s important to remember that courage doesn’t mean you have no fear. It means you face your fear and keep going. Glad you were inspired! Cecilia, it’s so true that courage doesn’t mean you have no fear, only that you keep going. The women you feature here, Heidi, are such an inspiration to me (and others, I’m sure). The things they’ve overcome and the goals they’ve achieve are truly remarkable. Thanks Lynda! I’m so glad you find inspiration. So many women that we meet everyday, have amazing achievements they may not have shared. I too find inspiration in the sharing. It’s worthwhile telling our stories if others feel inspired. Thanks for your comment, Lynda! Hi Ritu, Thanks for stoping by and leaving a comment. I’m so glad to read that you were inspired! An extremely inspirational story of overcoming problems and even bullying. Thanks Denzil! Cecilia is looking for an agent. Perhaps she will be one of your future reviews! It means so much to hear you were inspired, Denzil. This journey was a challenge, writing the memoir about it even more so, and now it looks like finding a publisher is going to be yet a further challenge! But all these positive comments inspire me to refuse to give up and to continue seeking a home for my memoir. Wow – what a really inspiring story and a very brave lady! Welcome to our community Lauren and thanks for the comment! I’m glad you found inspiration. Thank you, Lauren, for your very kind words. I didn’t start out brave, but I kept on pushing through my fears. Wow!! What a great effort to overcome shyness and insecurity. Fantastic results and a lot of hard work I’d say. Hard work and great courage! Debbie welcome to our community and thanks so much for your comment. It is encouraging to know people are reading these important stories. And hearing positive comments like yours makes me feel like it was all worth it, Debbie. Thanks so much for your kindness. What an inspiring story of courage and resilience! And what a brave, brave lady! Isn’t she brave? And, she has come so far! Thanks for stopping by and leaving a comment. PS I love your name, Modern Gypsy. I was given a nickname, Ansu, which means mermaid and makes me think of traveling the sea. Brilliant!! Amazing what we can do when we put our minds to it. Very inspiring woman and a post well written! Thanks Suz. Our minds, emotions, the stories we hear and repeat can hold us back—or help us to soar. 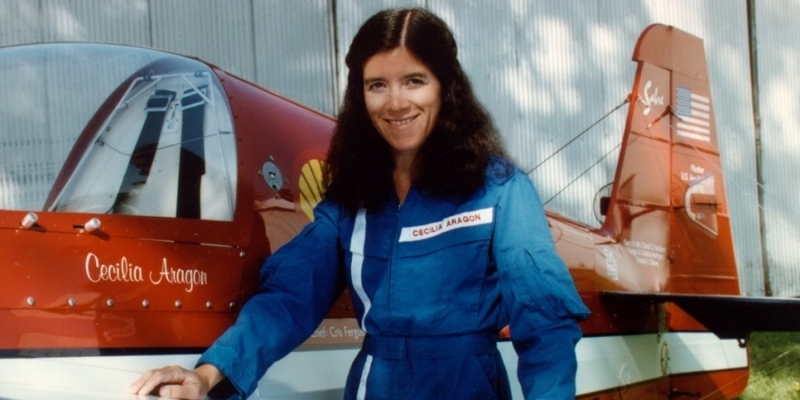 It was so inspirational for me to read her story and then see the video of her flying. Welcome to our community! You are so right, Suz! Each of us can do amazing things if we put our minds to it. And thank you so much for saying my post is well-written. That means a lot to me, especially as I deal with rejections of my memoir! But I will not give up! Thank you for your comment. Please don’t give up Cecilia. We all want to read it! Just amazing to read about Cecelia. Truly inspiring. Thanks for coming back and leaving a comment. I’m glad you are inspired. So am I! Thank you very much, Fancy! I’m glad to hear you found it inspiring. Good woman! Cecelia’s story is full of inspiration, I very much like the line ‘the easiest choice can be the most deadly’, thats very true. That line made me think deeply also. Sonia, welcome to our community and thanks for commenting. I’m glad you found inspiration. Hello Sonia, and thanks so much for letting me know you like that specific line. Many times in life, we have a choice between the easy way and the hard way. For me, it has been true that choosing the more difficult option has given me an easier life afterwards. If I hadn’t faced my fears, my life would have become narrower. Today, it feels like my world is as wide as the sky, and my life is full of wonder and possibilities. Thank you very much for your comment! Thank you, Heidi, for this fantastic site featuring such fascinating and inspiring women. I’m honored to be among this group, and I’m grateful that you’ve taken the time and effort to set up this community. It’s a thrill to be here! It’s a thrill to have you. ‘I sort-of hope we can fly together someday,’ she says with butterflies fluttering in her stomach. You are a true inspiration Cecilia. Great story! Wonderful to read about such an inspiring woman. Thank you for sharing. Welcome to our community Amy, and thank for the comment! I’m glad you enjoyed the post and felt inspired as did I. Cecilia has written a memoir and is looking for an agent; perhaps you’ll read her book someday in your book club. I have come across your story here at Heidi’s Gutsy Goddess blog. You have an inspiring tale -your ability to make yourself do things despite fear & lack of confidence. I have often made choices to take an easy path because it was less scary and challenging. I will keep in mind that there is much growth in taking baby steps toward what is fearful and unknown. Thanks for that. Thanks so much for your thoughtful response. Best of luck in your endeavors to take steps toward what is fearful and unknown. It is a good thing for many, including myself, to keep in mind. What a wonderful and inspiring story. Fear is paralyzing, but she chose to overcome and conquer not only her fears but a lifetime of negative harassment. She is truly a Gutsy Goddess! Great comment Janet! Glad you feel her inspiration as do I.